Whitewater rafting is the last extreme experience in the adventure capital of New Zealand and we intend to keep it that way. You will embark on a man v nature battle of willpower in one of the most scenic environments in the world. Raft where jetboats fear to go and prepare to take a rapid in the face as you hold on during these four-hour paddle experiences. 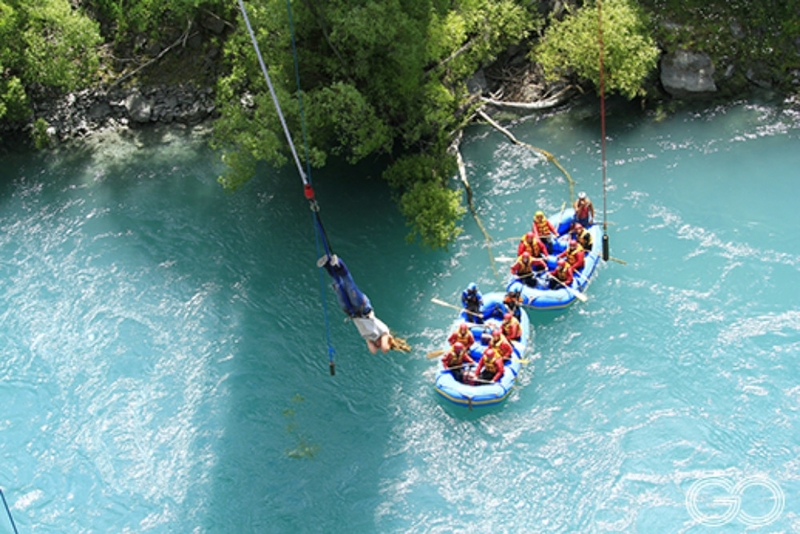 Choose your adventure, Kawarau River or Shotover River. 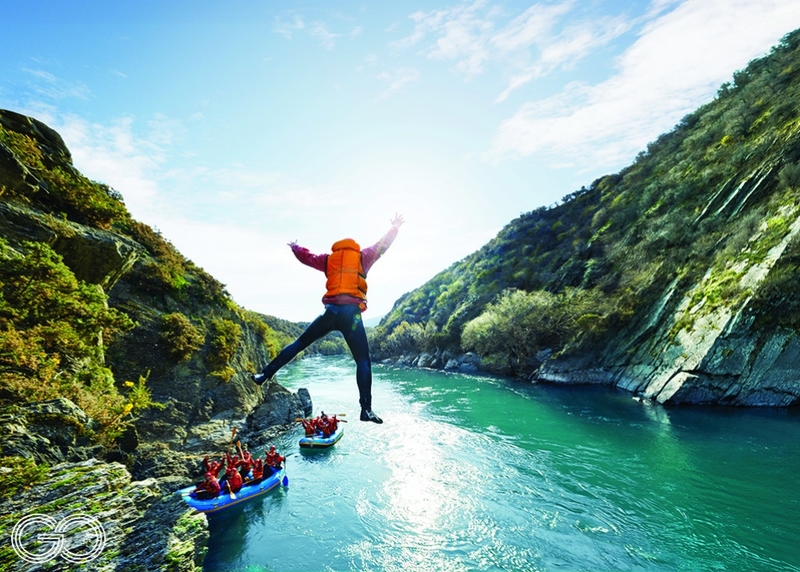 Join Go Orange on the iconic Shotover River for whitewater rapid adventure. 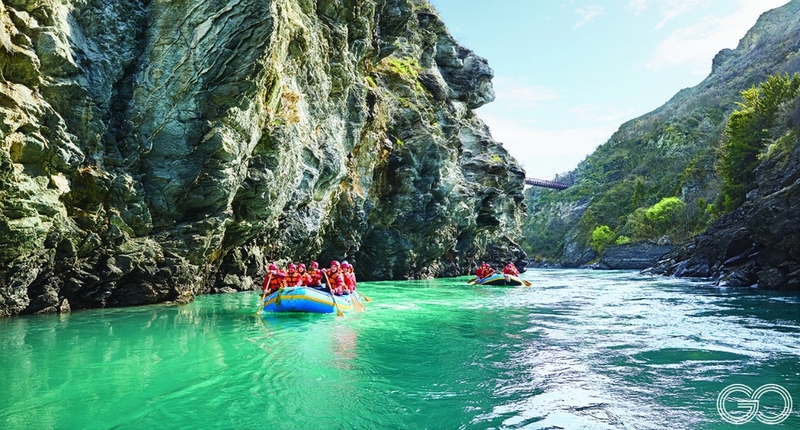 Start with an unforgettable coach trip through Skippers Canyon, famous for its exciting cliff edges, enough to get your adrenaline pumping before we hit the water. Experience grade 3-5 whitewater rapids in one of the most scenic environments in the world. The rapids can change on a daily basis, but be assured our guides are expertly trained and have a keen sense of adventure. They will guide you through canyons, navigate the rapids and the famous 170m Oxenbridge tunnel to finish. A river adventure for all. 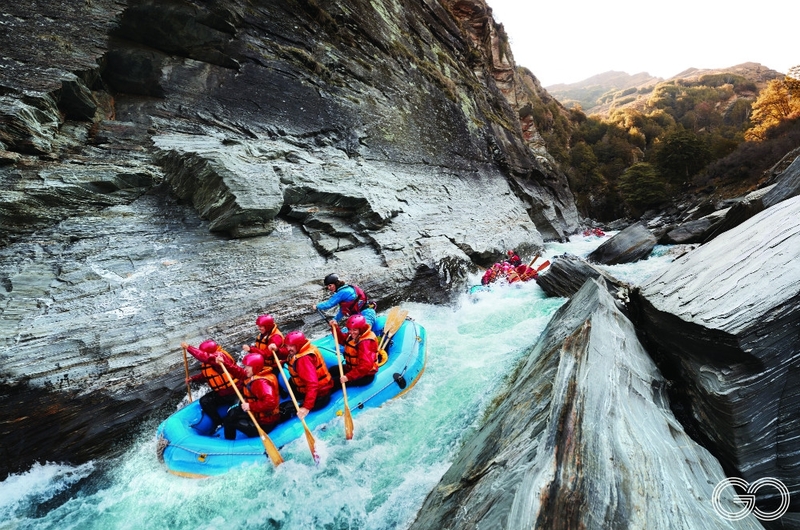 This rafting experience offers an insight into rafting surrounded by the beauty of New Zealand wilderness. 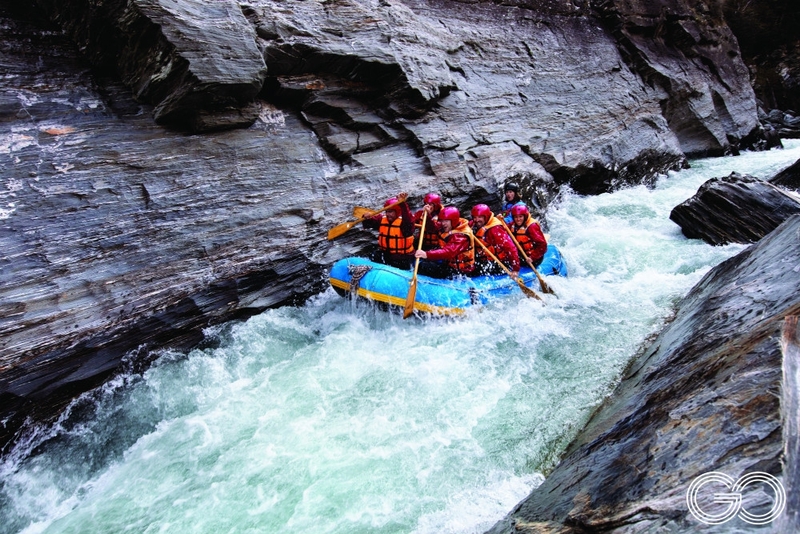 We pair paddling the rapids with the right amount of excitement to get your heart pumping. Don’t be fooled by the relaxed nature of this experience, we aim to make each paddle as thrilling as the next. The grade 2-3 rapids may be perfect for first timers, but as river levels change on the day you should expect a gripping ride no matter what. There is plenty of rapid action, even the chance to swim through one and a brand new cliff jumping section. This river experience is the perfect adventure.